Book your tickets NOW! The Box Office for The Bakewell Bake Off, coming to the Hampton Hill Theatre, is now OPEN! Take seven eager contestants, three feuding judges and one bewildered hostess, add flour eggs and sugar and mix together in a small village. Add the pressure of a baking competition and you've got a recipe for a hilarious musical comedy! Book your tickets NOW! 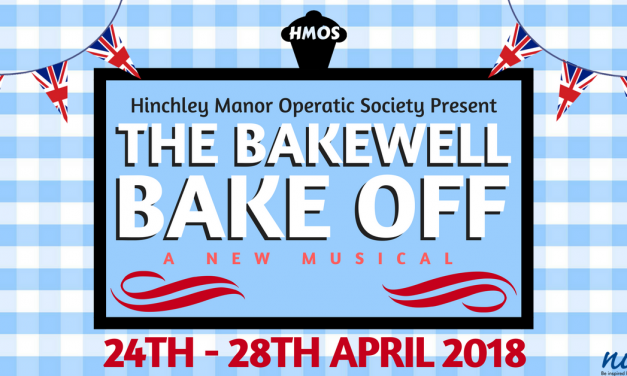 The Box Office for The Bakewell Bake Off, coming to the Hampton Hill Theatre, is now OPEN! Take seven eager contestants, three feuding judges and one bewildered hostess, add flour eggs and sugar and mix together in a small village. Add the pressure of a baking competition and you’ve got a recipe for a hilarious musical comedy! Rehearsal are well under way! What on earth is going on here?!? !